Posted: May 29, 2018 in Who,What,Where & When...? 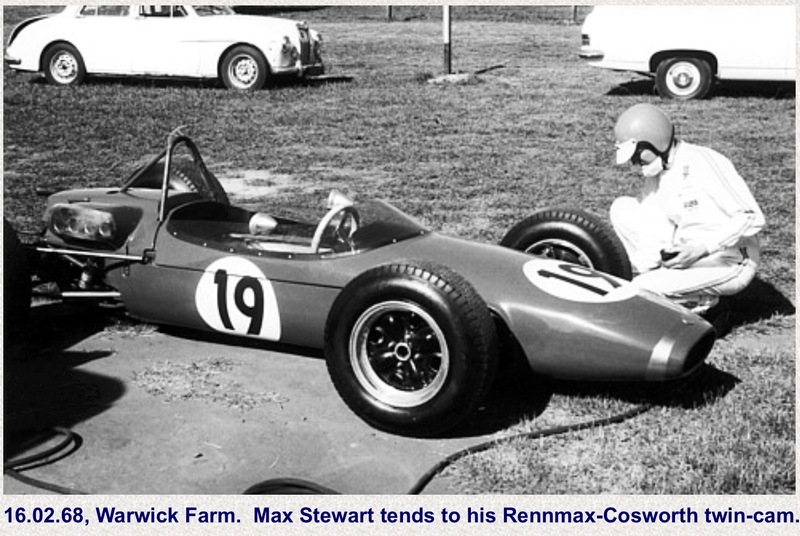 Max failed to finish in his Mildren Alfa that year, a successful one in which he won the Australian Gold Star Championship, albeit the car was Waggott 2 litre rather than 2 litre Alfa GTAm powered as it is here. 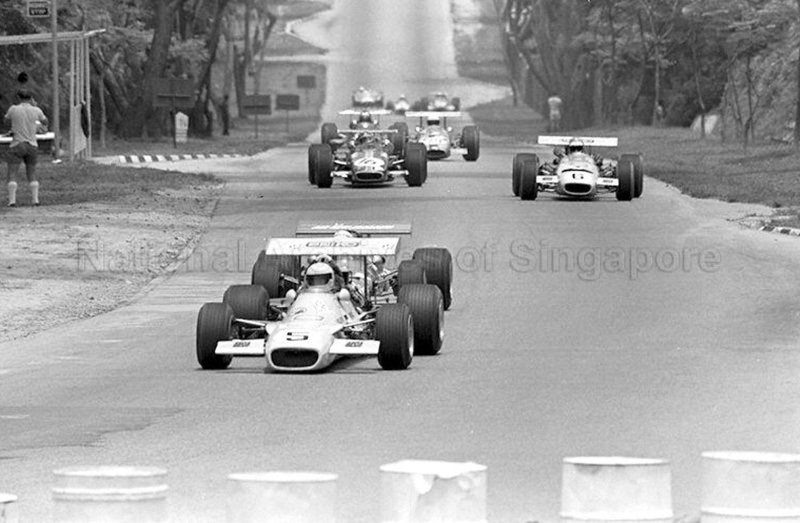 The Singapore race was won by Kiwi, Graeme Lawrence in a Brabham BT29 Ford FVC from the Australian duo- John Walker’s Elfin 600 Ford twin-cam and Bob Muir’s Mildren ‘Yellow Submarine’ Waggott third. 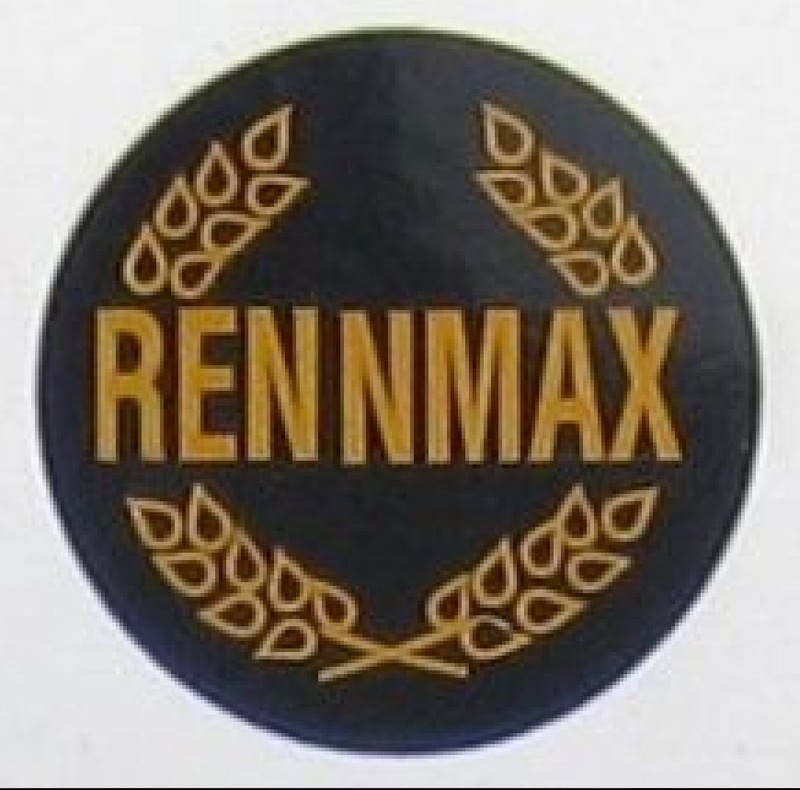 It was Rennmax’ galore in this race with Ken Goodwin 6th in his BN3 Ford with Stewart a DNF, his Mildren chassis also built by Bob Britton’s Rennmax concern. 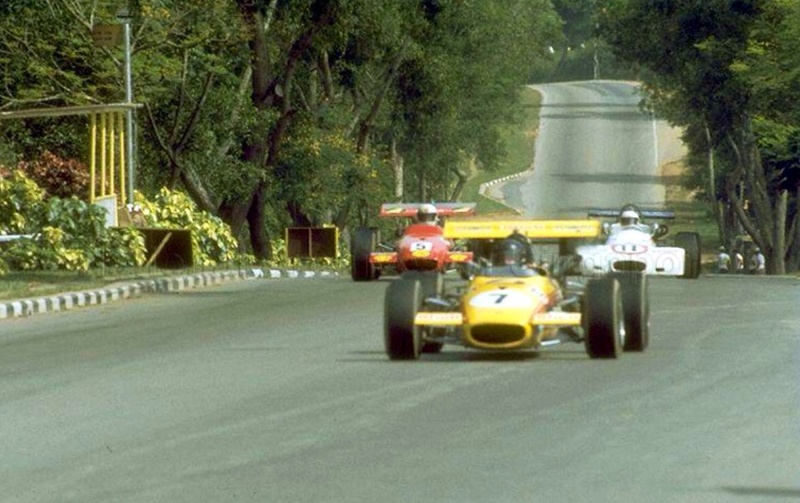 The race had depth- Vern Schuppan ran a March 722, Garrie Cooper, the Elfin boss converted his Elfin 600D from Repco V8 to Lotus/Ford twin-cam spec, Leo Geoghegan raced Graeme Lawrence’s Brabham BT30, Bob Muir a Rennmax BN3 and Sonny Rajah his ex-Ronnie Peterson March 712M. 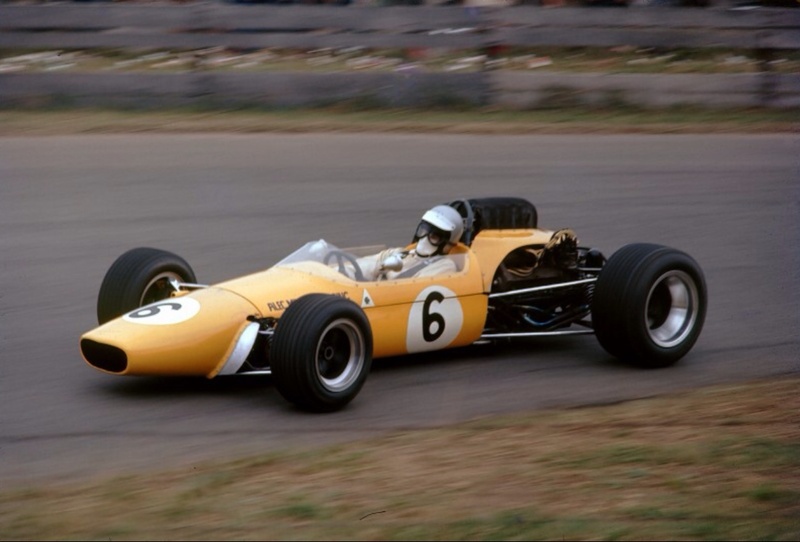 In fact that was the big change to the meeting- the organisers effectively adopted Australian National F2 engine regs which in a practical race winning sense mandated the use of the Lotus/Ford 2 valve, twin cam engine. 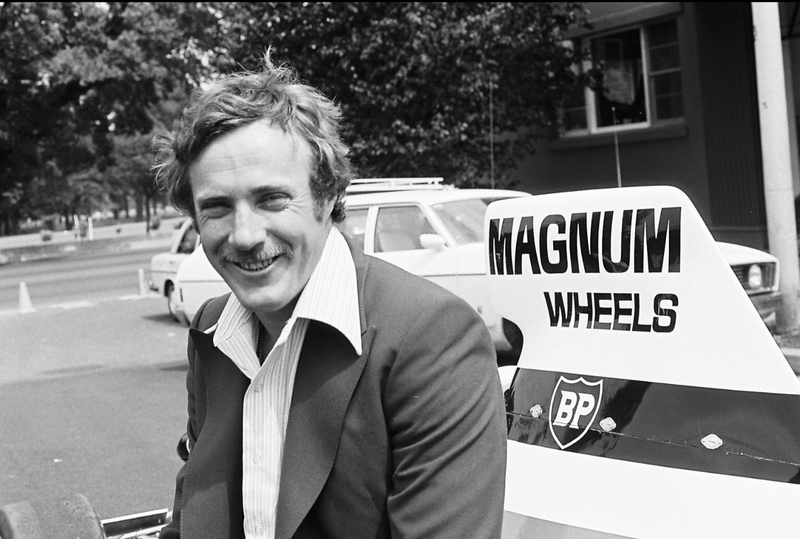 Max’s car was fitted with a Paul England built mill in place of the Waggott 2 litre 4-valver with which the car won so many events. 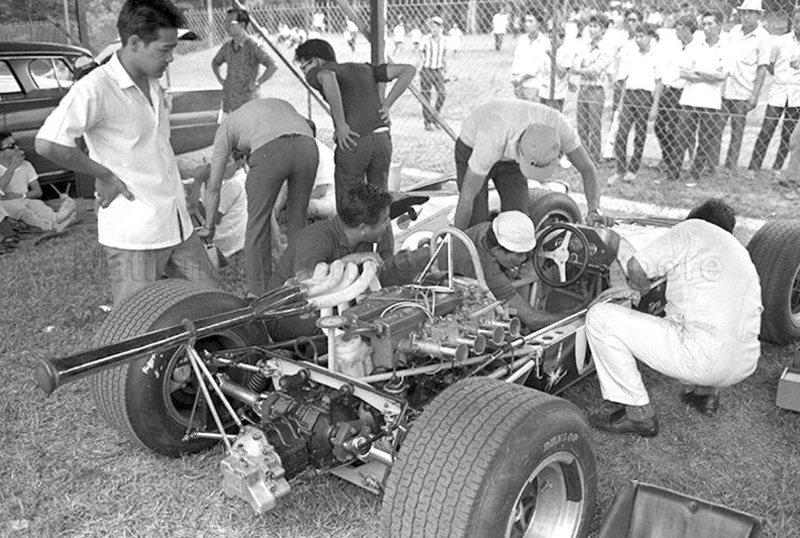 Their is a story to tell about fitment of the Alfa GTAm engine to the Mildren for its Asian Tour in 1971 though, and i would love to hear it! 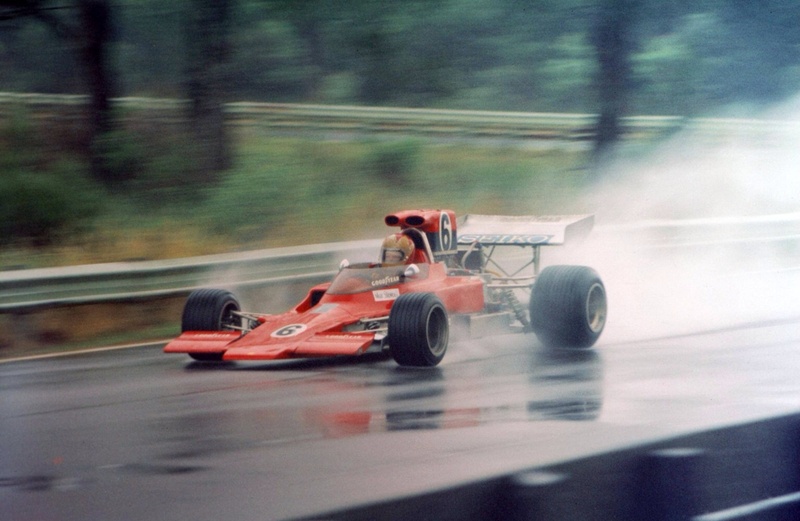 Max during the 1970 GP when the little Mildren was powered by Merv Waggott’s TC-4V 2 litre engine. 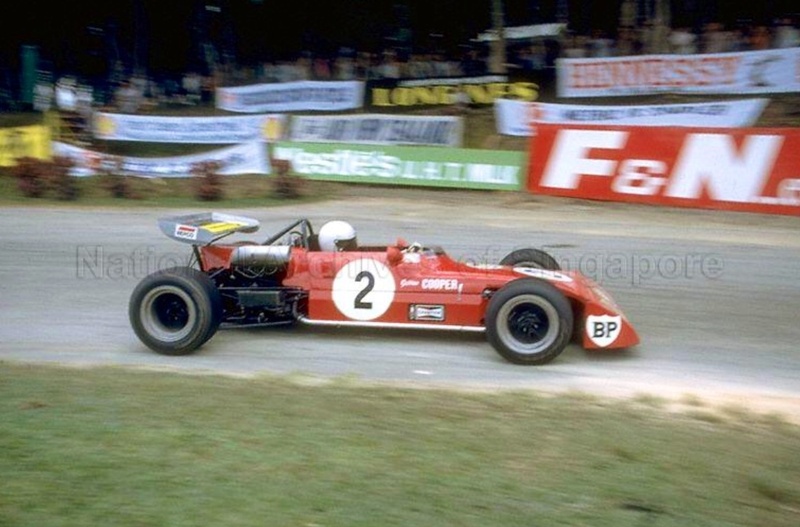 The race that year was dominated by Stewart’s teammate in the Mildren Alfa 2.5 V8 ‘Yellow Submarine’- Kevin Bartlett won the 20 lap preliminary and led the GP until a valve spring let go, Graeme Lawrence’s ex-Amon Ferrari 246T with whom KB had been dicing throughout, took a popular win. 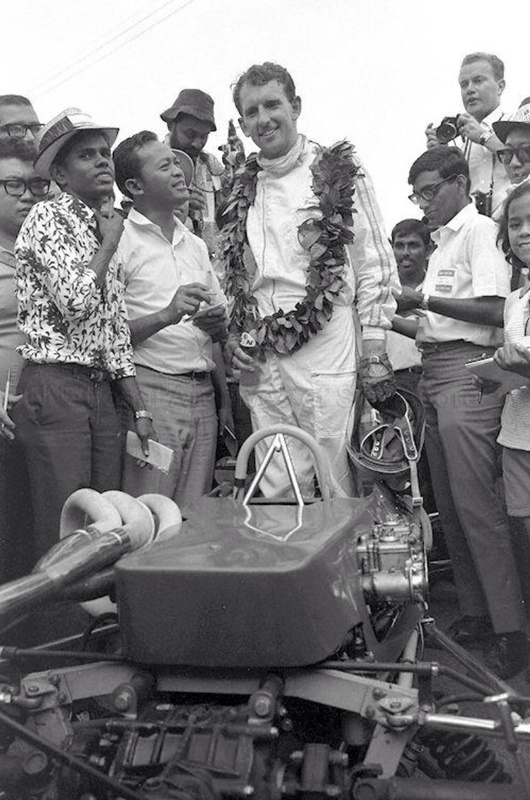 GL won many races in South East Asia for the best part of a decade from the mid-sixties to the seventies. Not sure where Max placed. 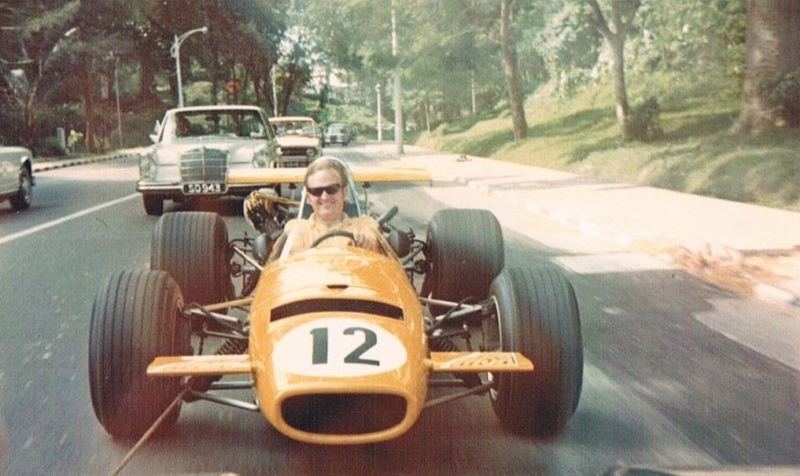 One article, one car, three pictures- three different engines. 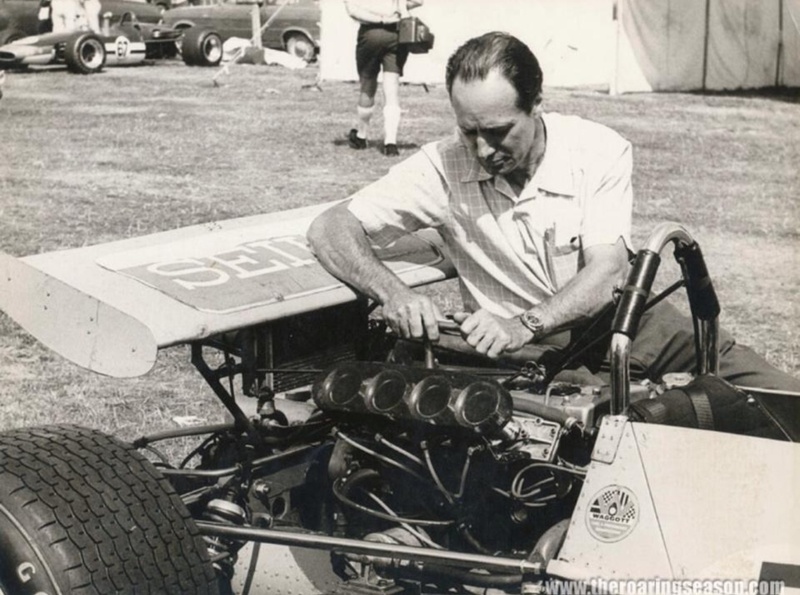 Here is Max’s Alec Mildren owned machine- that’s Mildren talking to Glenn Abbey, his longtime friend and Chief Mechanic behind the truck in the Oran Park paddock in June 1970. 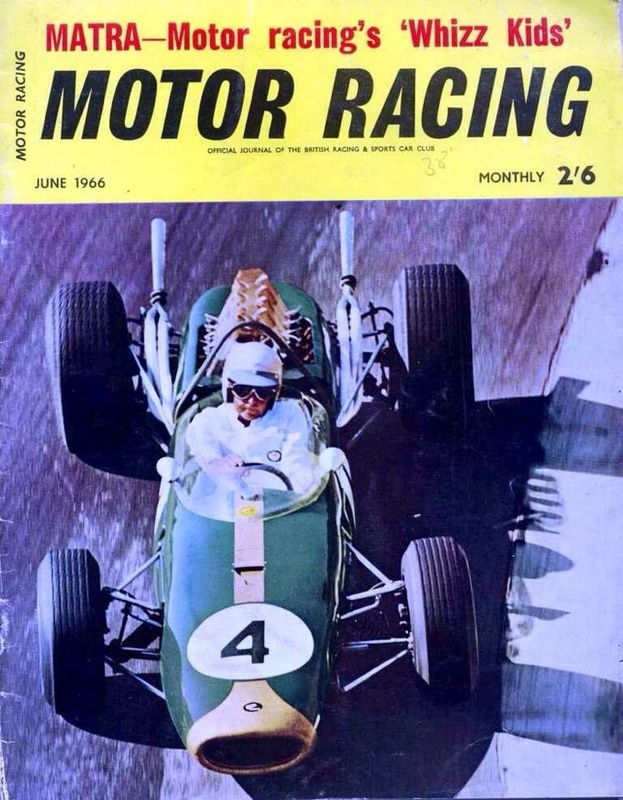 A successful weekend for the team as Max won the Gold Star round powered by a 2 litre Waggott engine from Leo Geoghegan, Lotus 59 Waggott and Garrie Cooper, Elfin 600D Repco 2.5 V8. 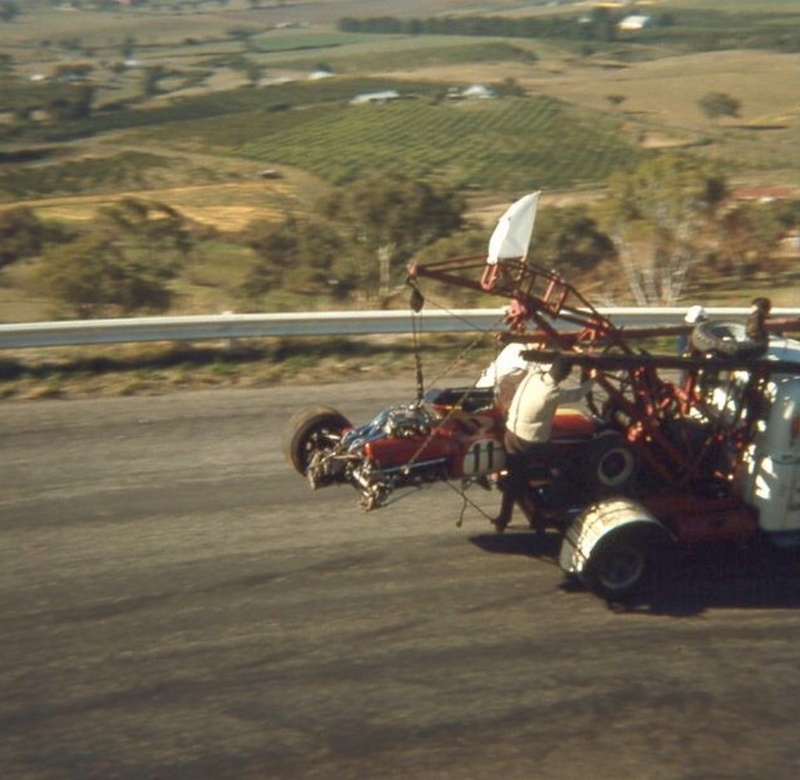 The dude tending to the front Goodyear is Derek Kneller (his book is on the way and will be a beauty) with Stu Randall at the rear. 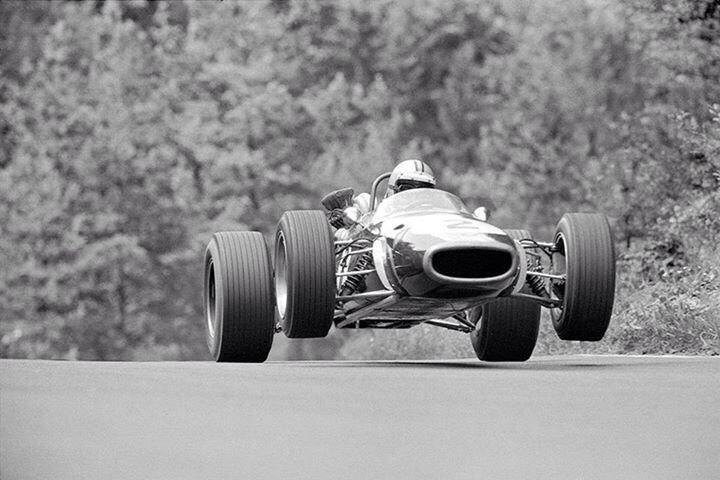 I wonder who the pretty Missy is with an interest in all things mechanical? 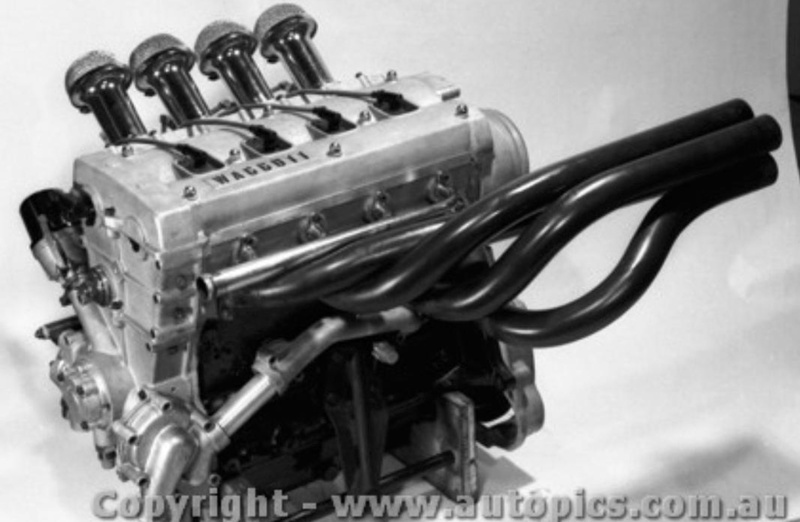 The engine count for this chassis (in fact one car- two chassis frames) is something like- Alfa Romeo 1.6 twin-plug 2 valve DOHC F2, Waggott 4 valve DOHC- 1600/1860/2000cc, Lotus Ford 1.6 litre 2 valve DOHC and Alfa Romeo 2 litre 2 valve twin plug DOHC. 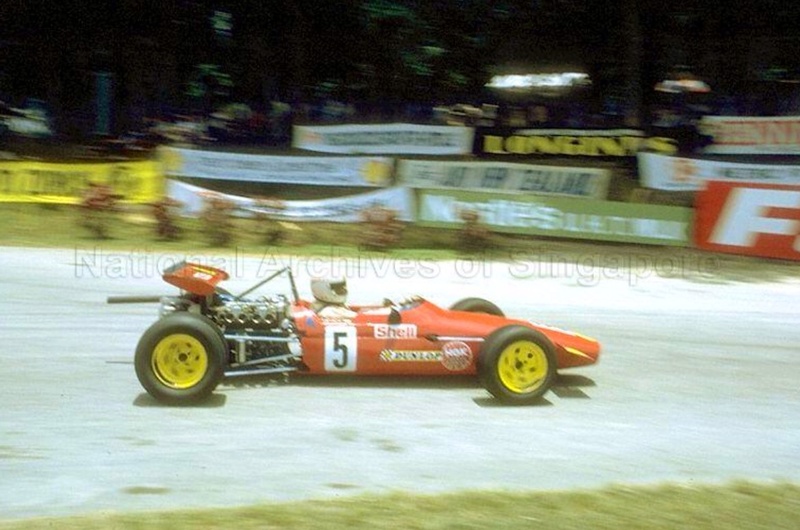 Posted: March 12, 2015 in Features, Who,What,Where & When...? 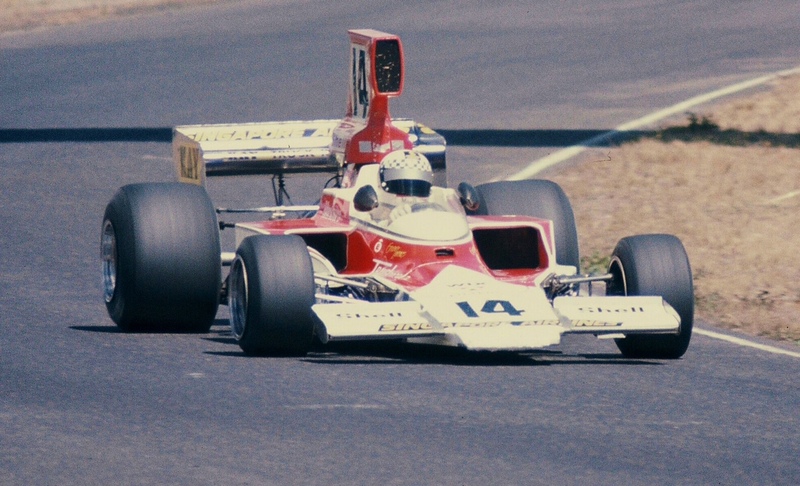 Walker survived the accident and lived to fight another day, eventually winning both the Australian Grand Prix and ‘Gold Star’ the national championship for drivers in 1979 in another Lola T332. 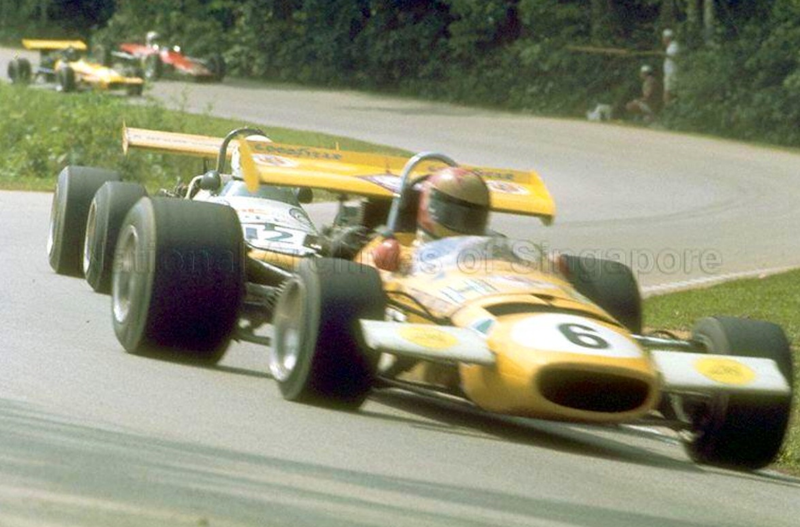 The other cars in shot are also Lola’s ; Max Stewarts’ T330 left, Graeme Lawrences’ T332 centre and Kevin Bartletts’ similar car on the right. 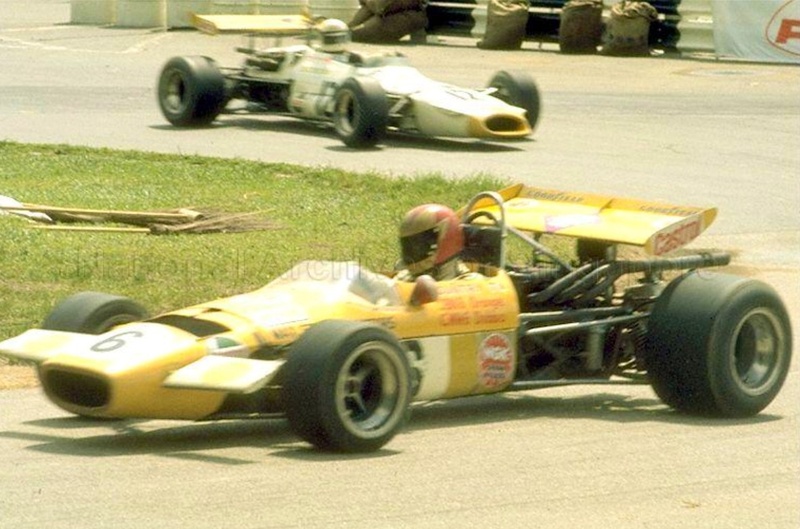 In fact it was in Bartletts’ T332 ‘HU22′, later owned and raced successfully by Bruce Allison before passing into Martin Sampsons’ hands in which Walker won the AGP and Gold Star in 1979. 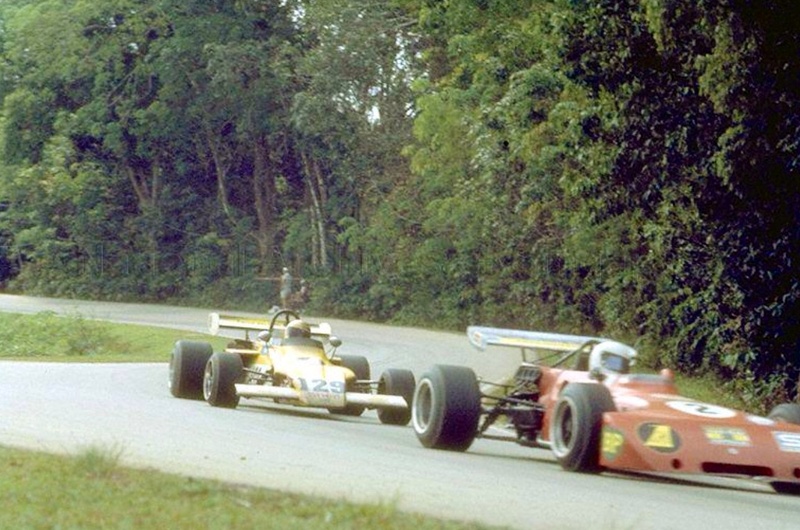 The battle for the ’75 Tasman was decided in this race. 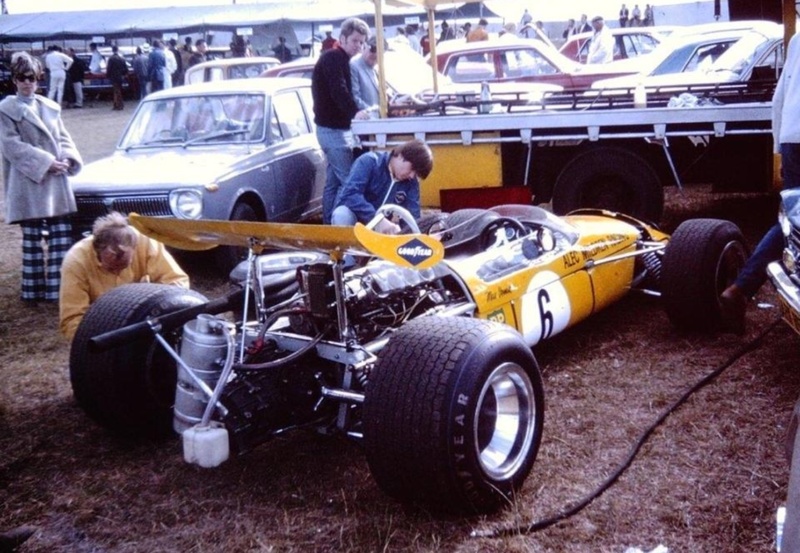 Going into the Sandown final round Walker, Warwick Brown and Kiwi 1970 Tasman Champion, Graeme Lawrence all Lola T332 mounted could all win the series depending upon how ‘the cards fell’, with 30 points apiece from 7 prior rounds. 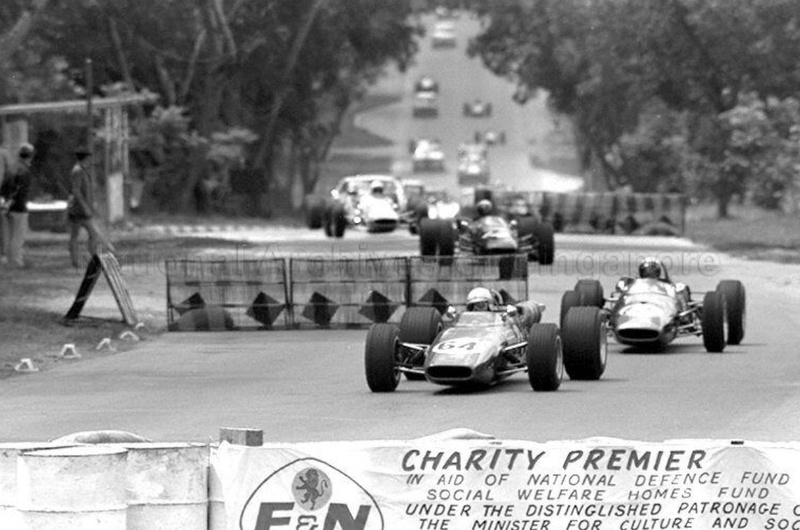 Sandown in February was typically hot throughout practice, Walker took pole from Brown, Max Stewart third and Lawrence 4th, their was nothing between the title protagonists, it was anybody’s race. 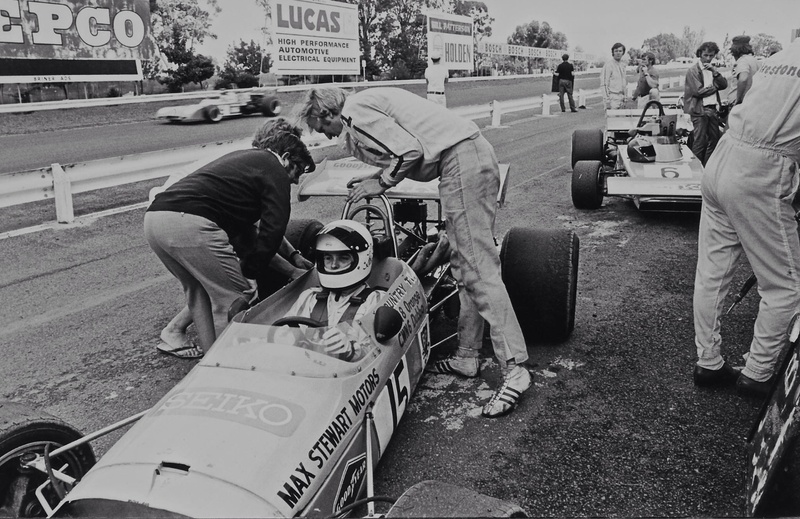 John Walker, Warwick Brown and Graeme Lawrence pictured at the Light Car Club, then the Sandown promoters, a day or so before the race. The Melbourne ‘Sun’ was a good paper in which to wrap yer fish n’ chips but had no merit otherwise, much as the Herald-Sun does now. 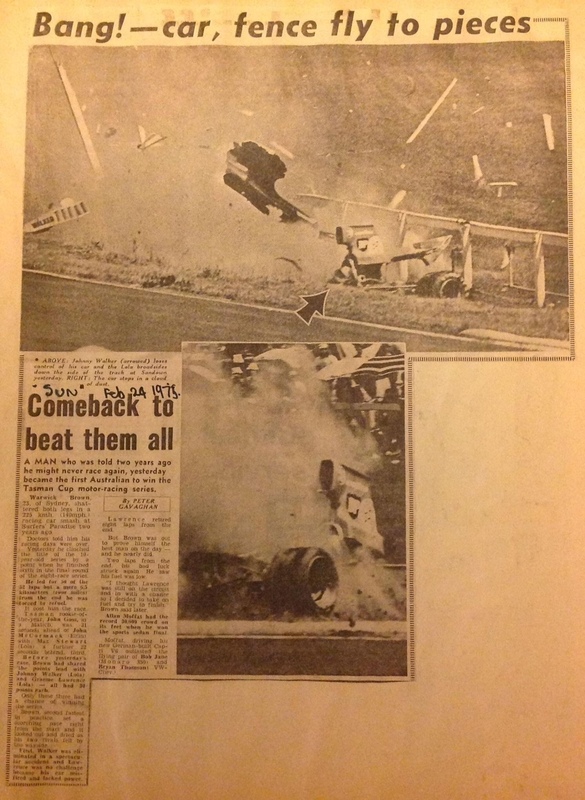 The article rabbits on about Alan Moffats new ‘Cologne’ RS3400 Capri, indicative of the Aussie fixation with ‘taxis’ (touring cars), making no mention of the Tasman finale…nice shot tho! 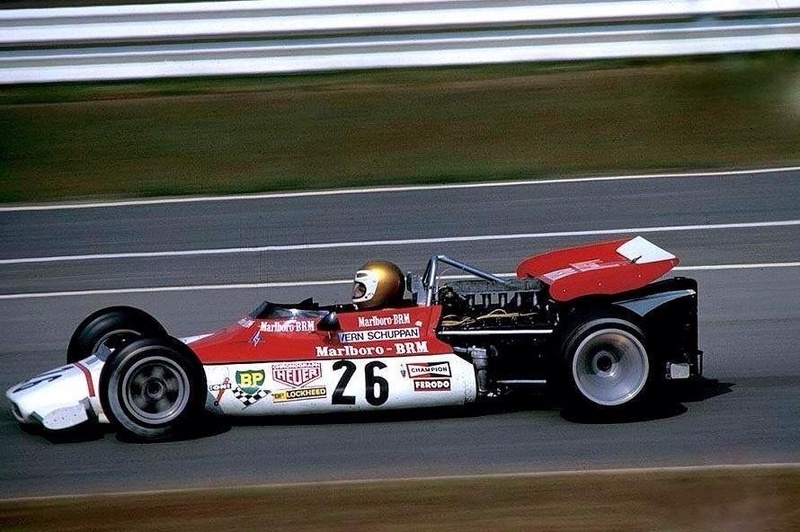 Brown was perhaps the ‘form driver’…he broke into F5000 in the ex-Alan Hamilton McLaren M10B which was engineered by the very experienced Peter Molloy, Molloy having prepared the sister M10B to this when owned by Niel Allen. 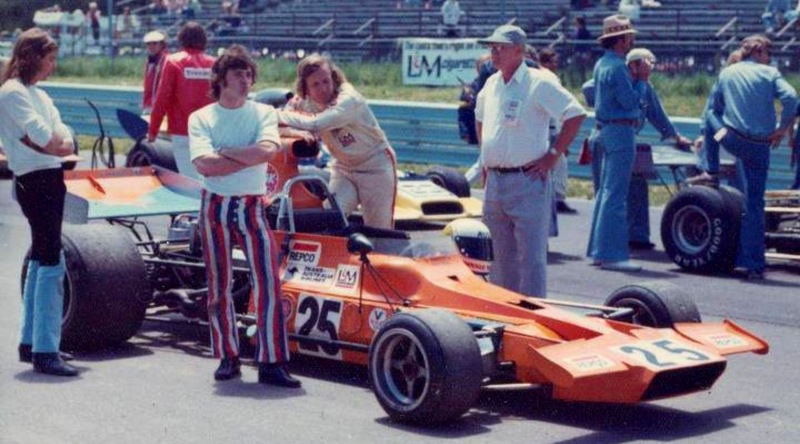 Molloy knew the car intimately and was equally adept as a driver mentor/coach. 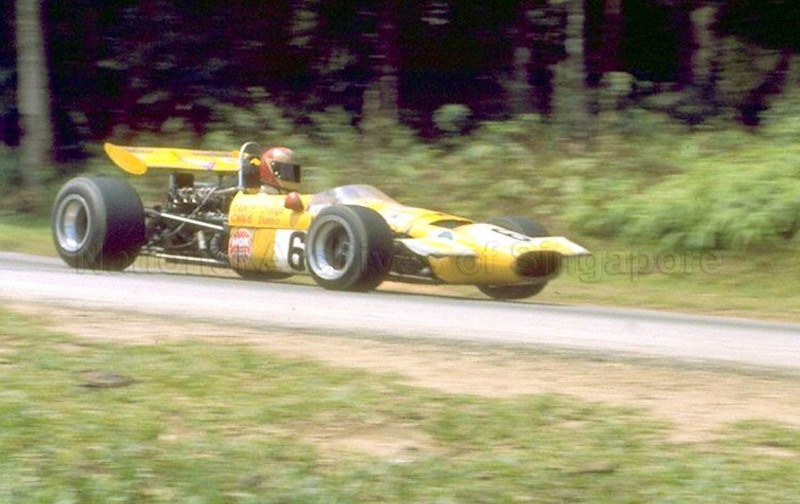 Brown was immediately on the pace in what was an old car in 1972. 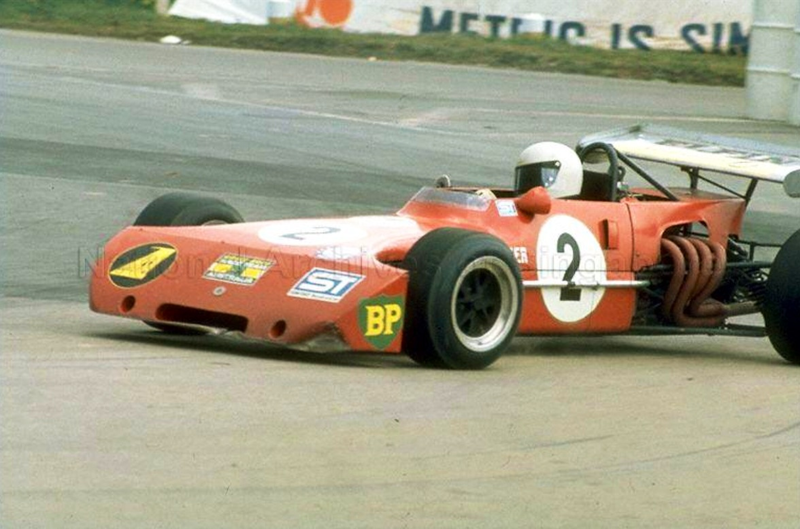 He then jumped into the ex Allen/Muir Lola T300, a quicker but twitcher, more challenging conveyance than the M10B and was very competitive in the ’73 Tasman but became a ‘Lola Limper’ in an horrific high speed accident at Surfers which could have taken his life. 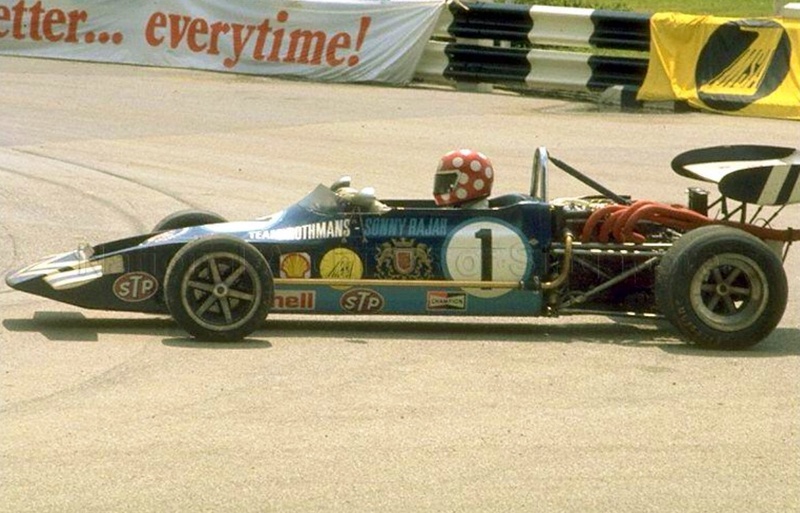 It was not the last Lola ‘big one’ in Warwicks’ career either. 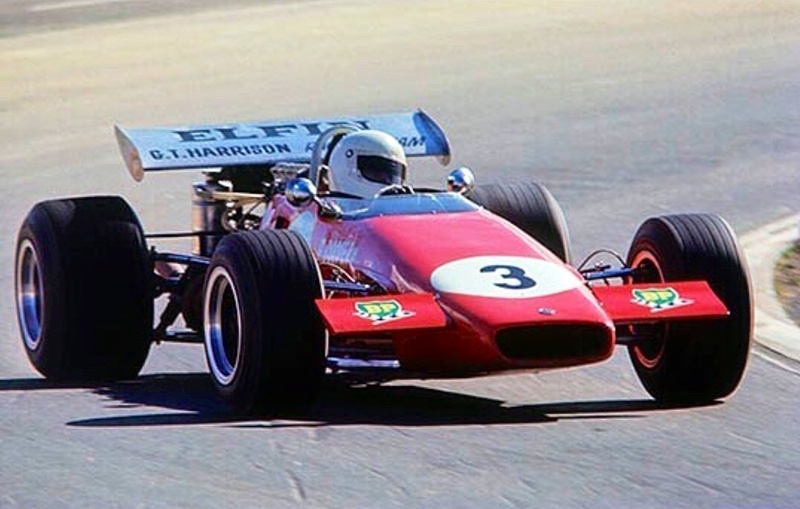 When he recovered his Patron, Pat Burke, bought the very first T332 which he ran in the 1974 Tasman Series doing well enough to win the final Adelaide round, he competed in the first round of the domestic 1974 Gold Star series, which Lawrence and Walker also contested. 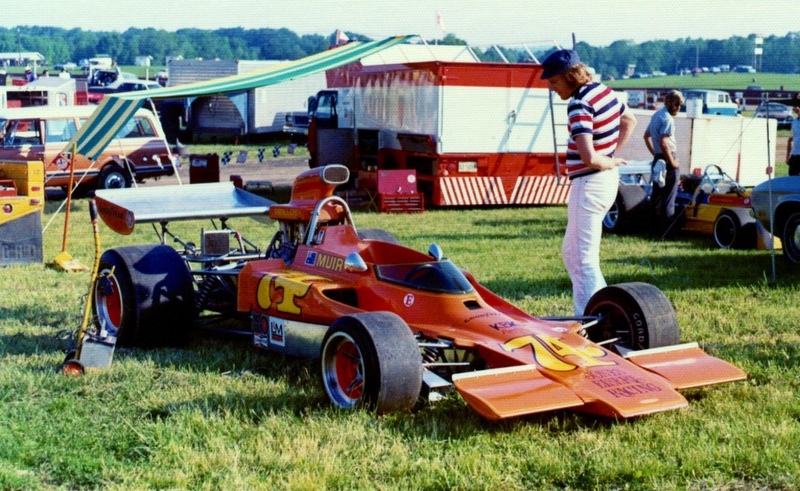 Browns’ team then shipped ‘HU27’ to the US successfully competing in several rounds of the ’74 Series before returning for the AGP at Oran Park in mid-November. 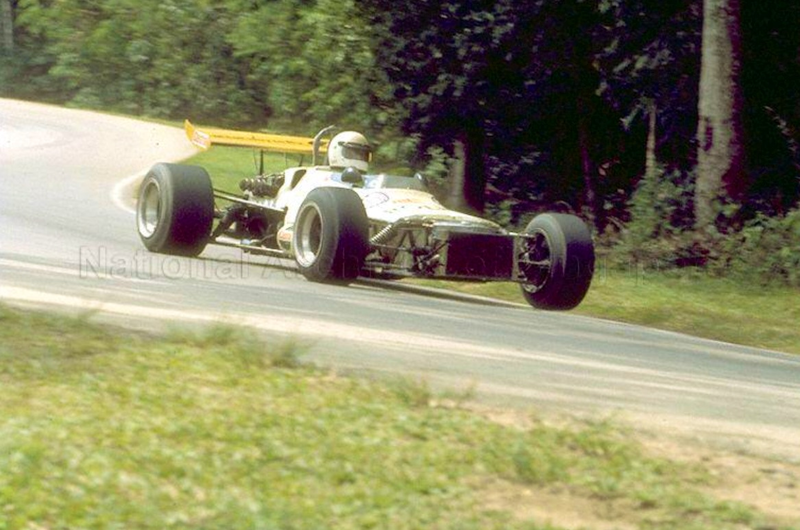 Warwick ran the final US round in the Talon nee McRae GM2, he would contest the ’75 US Series in. 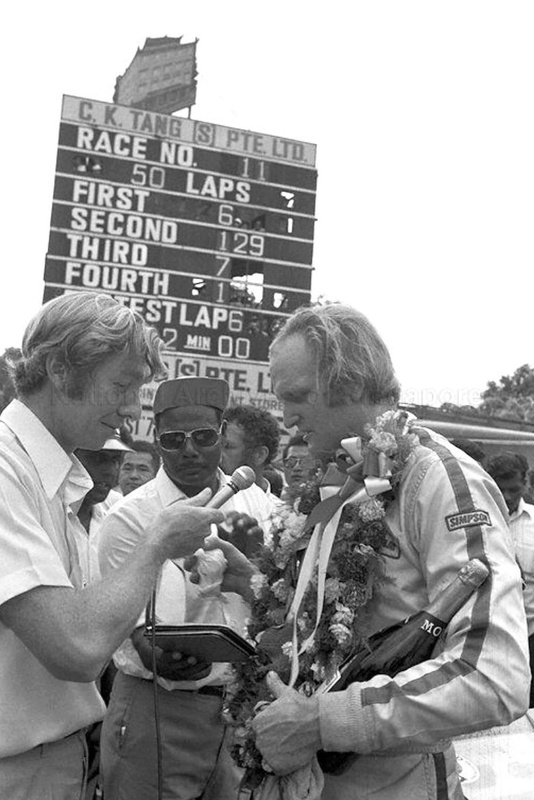 Brown was well and truly ‘match fit’ by the start of the series , his confidence buoyed by his competitiveness in the ‘States. 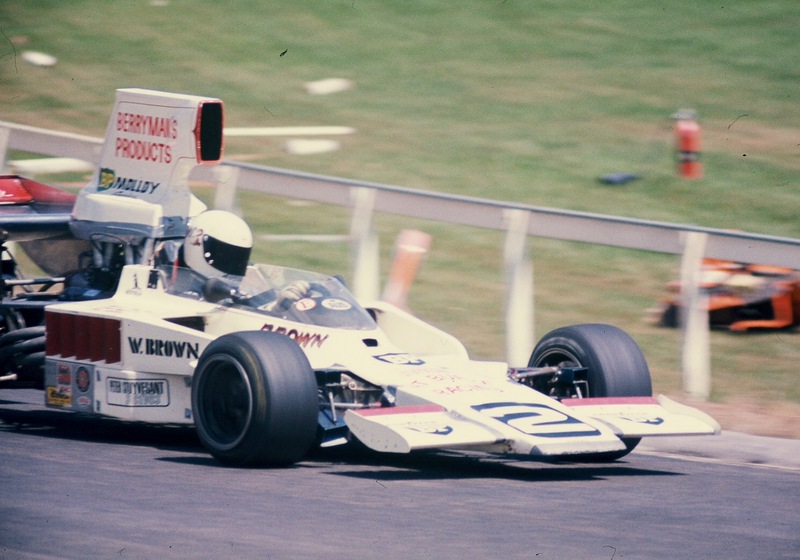 Max Stewart won the ’74 AGP from Kevin Bartlett, KB also a ‘Lola Limper’ by virtue of his awful leg-breaking Pukekohe Tasman ’74 shunt. 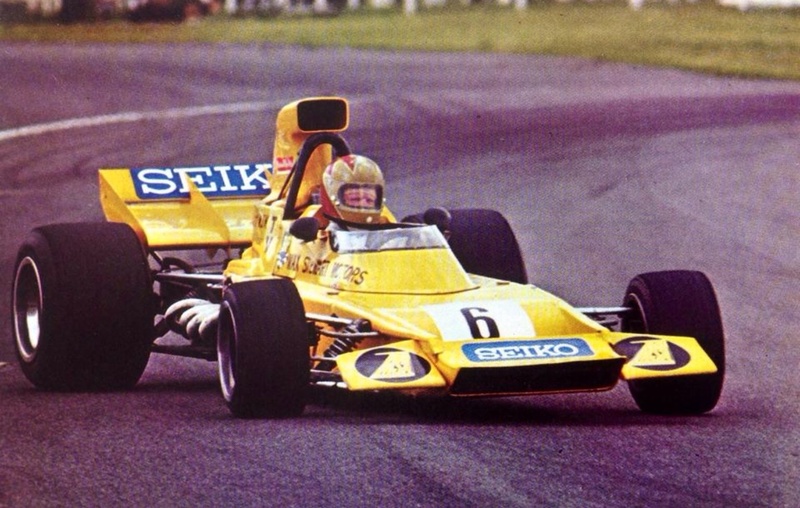 Graeme Lawrence was 3rd in his T332 ‘HU28’ which he also raced in the ’74 Tasman and the whole Australian Gold Star series, he was well familiar with the car by the commencement of the ’75 Tasman. 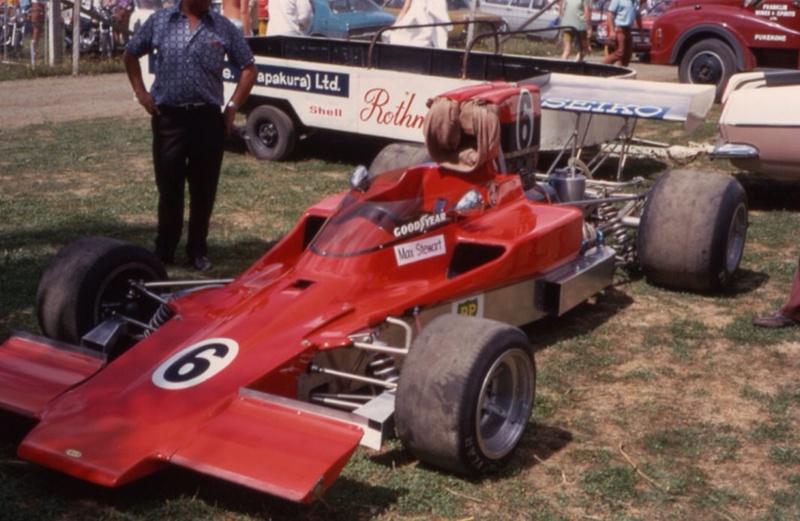 Graeme Lawrence won the Tasman Series in 1970 in the Ferrari Dino 246T ‘0008’, also Chris Amons’ 1969 Tasman winner…1970 was the first year F5000’s were eligible to compete for the title. 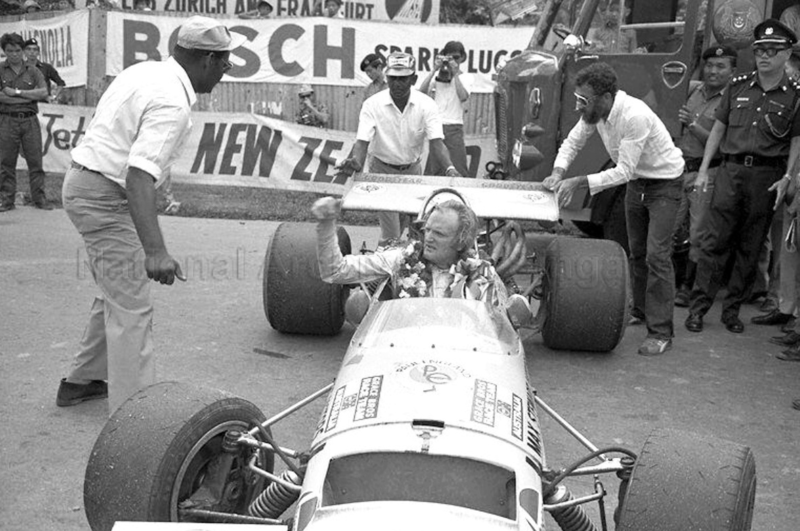 He started in F5000 in a Lola T300, that car short lived after Lawrence was involved in an horrific high speed, ‘nobody’s fault’ accident with countryman Bryan Faloon in the ’72 NZ GP at Pukekohe, Faloon losing his life and Graeme breaking both legs and sustaining other serious injuries. 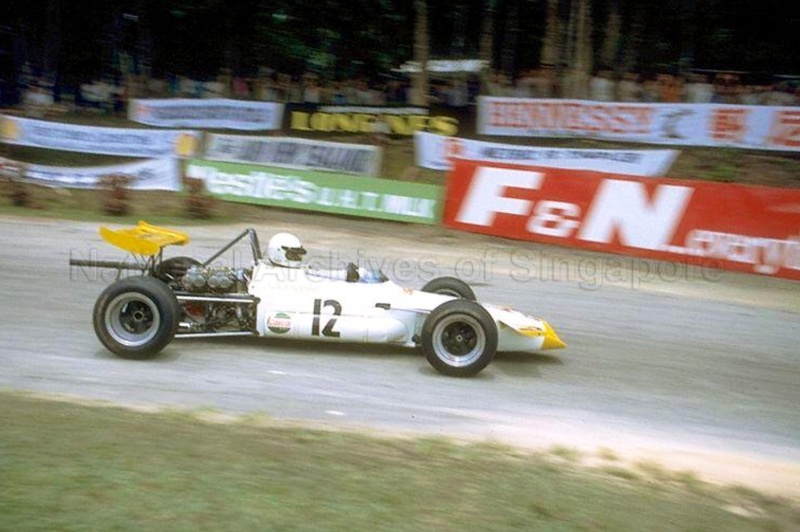 Like the other ‘Lola Limpers’ described herein he continued his passion for the sport. 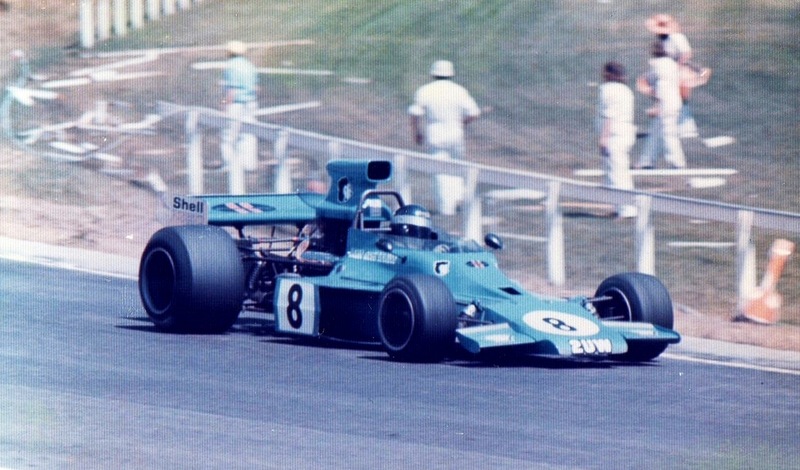 After he recovered long time sponsor Air New Zealand supported a Surtees TS15 Ford F2 car he ran in the ’73 Tasman and in South East Asia, before returning to F5000 with the T332 for 1974. 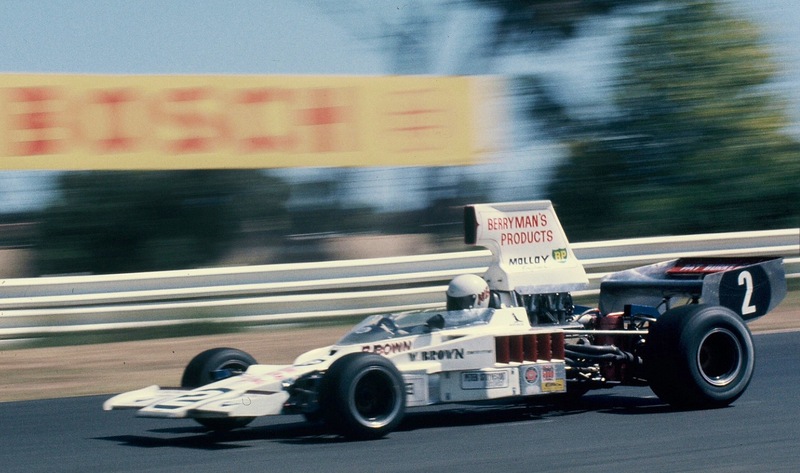 Bartlett and his great friend Max Stewart were not as competitive ’75 Tasman contenders as they hoped. 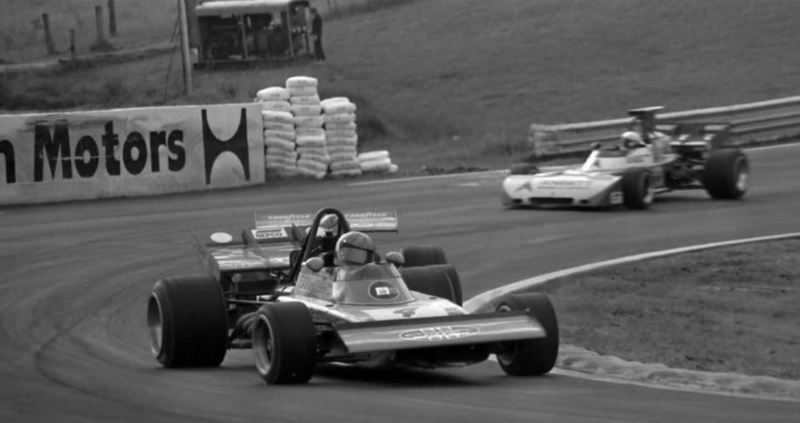 The great friends were the first customers of Lola’s F5000 latest- the trick, schmick but not ultimately quick, rising rate suspension T400. 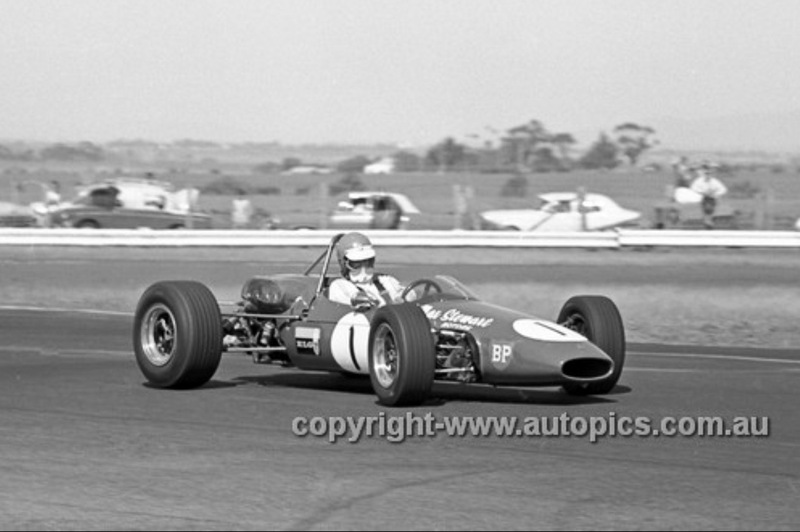 Bartlett’s 3rd at Levin in the opening round flattered only to deceive, the cars were reasonably reliable throughout the series but not as quick as the T332’s. 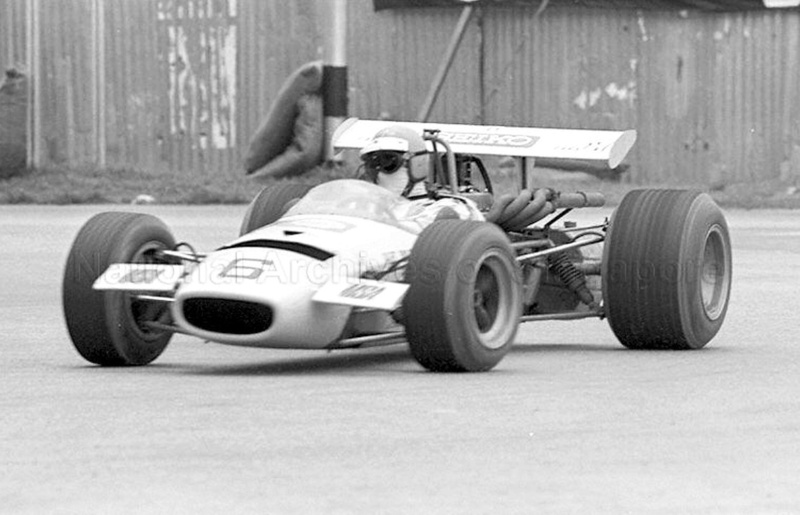 So unimpressed with the T400 were they, that both contested the Adelaide and Sandown rounds in their old cars. 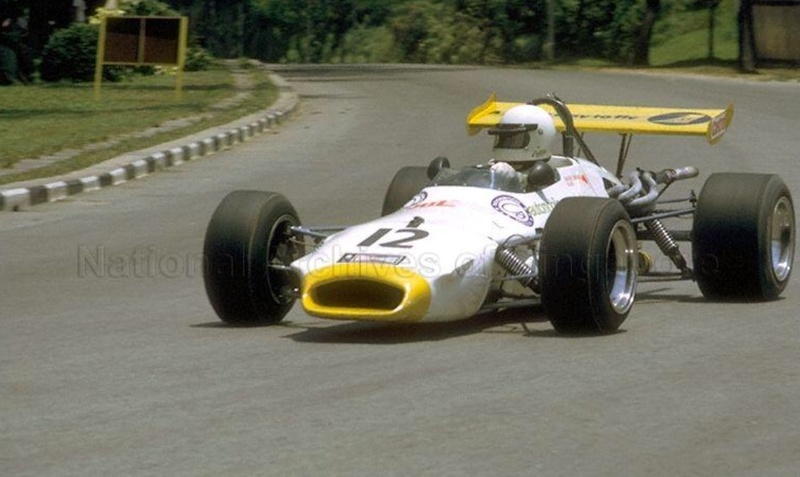 Bartlett his T332, his T330 rebuilt around a new 332 tub after his Pukekohe prang and Max the very first, very fast, very successful T330, ‘HU1’, the prototype tested and raced in the UK in late 1972 and honed to a fine pitch before handover by Frank Gardner to Stewart prior to the ’73 Tasman commencement. 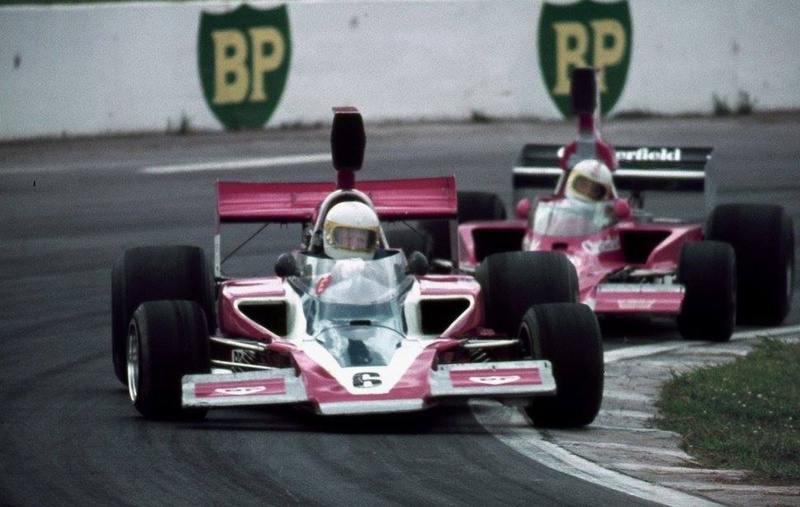 It would have been very interesting to see how this pair would have faired had they run their well proven older cars, but there was no reason to believe the T400 would not be a quicker car than the successful previous Lola F5000’s had been. 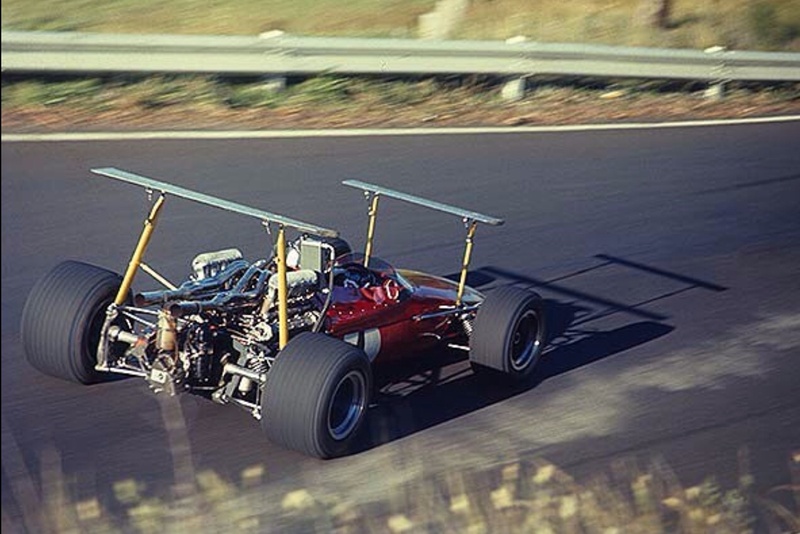 Each one quicker than the previous model. 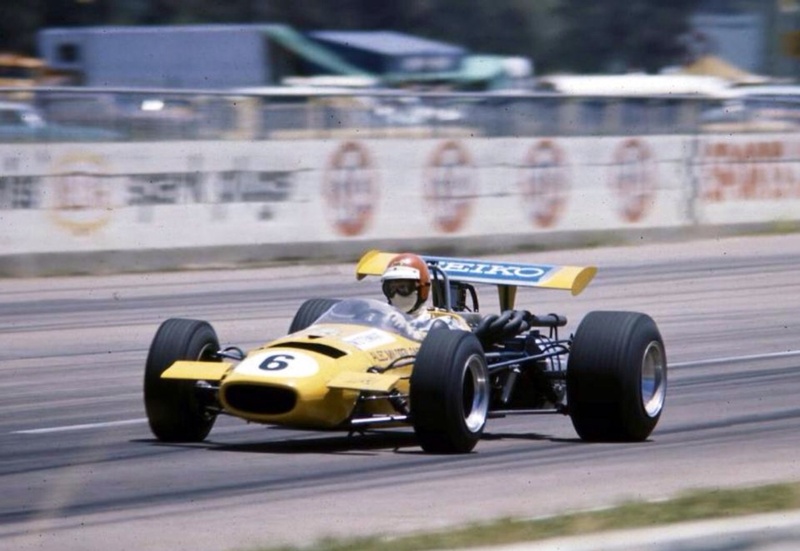 The T400’s ended up being winners in the hands of Count Rudy Van der Straatens ‘Team VDS’ in Teddy Pilette’s and Peter Gethin’s hands in Europe and by Max Stewart in Australia but were otherwise shunned by most Lola customers who continued to modify and develop their T330/2’s- the T332C was surely THE definitive F5000 car. 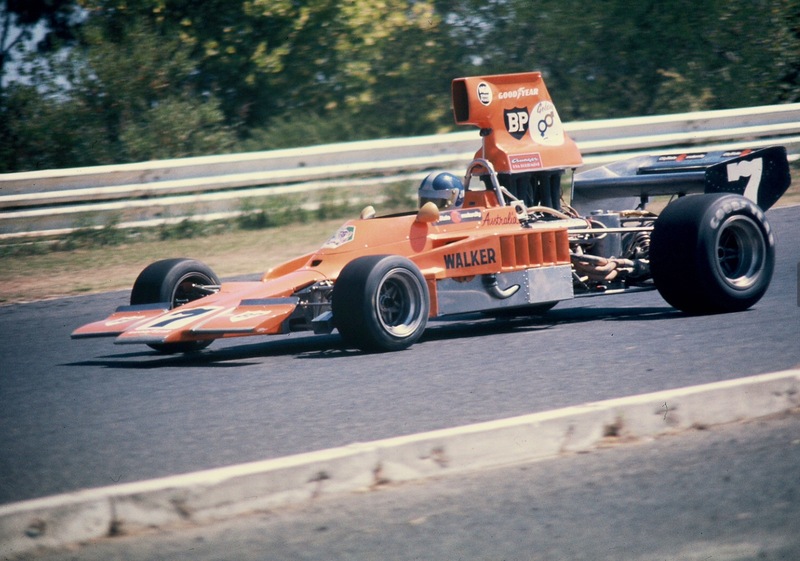 In many ways the least well prepared of the ‘Tasman Finalists’, at the Series commencement was John Walker. 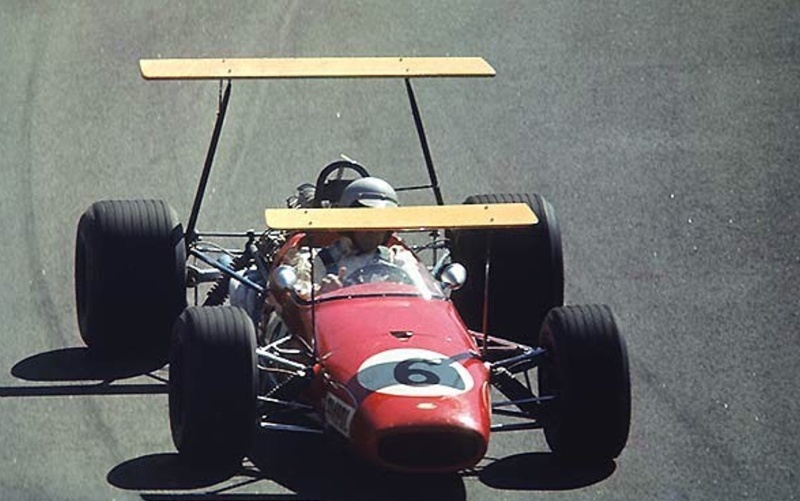 The Adelaide crash repair business proprietor came into F5000 from F2, swapping his Elfin 600 for an MR5 Repco, the first of Garrie Coopers’ Elfin 5 litre single seaters. 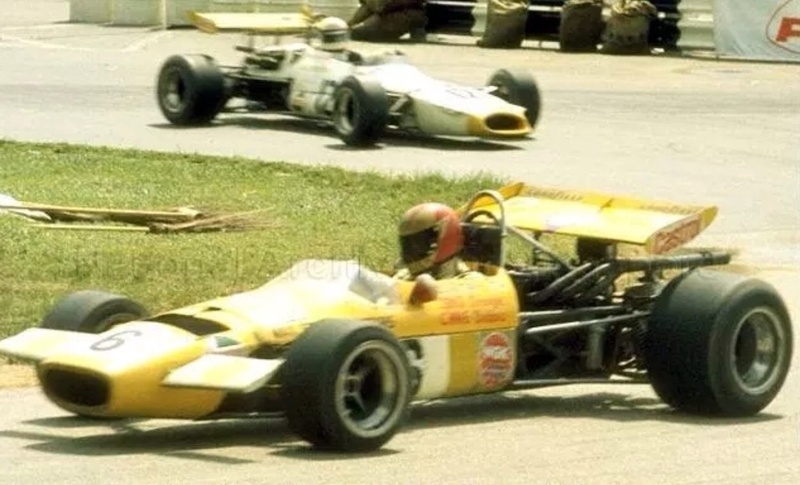 John hadn’t raced the car for long before deciding to compete in the ’73 US F5000 ‘L&M Series’, and bought a Matich A50 to do so, the Elfin lacking the ‘bag tanks’ required for that series and the ultimate competitiveness Walker sought. 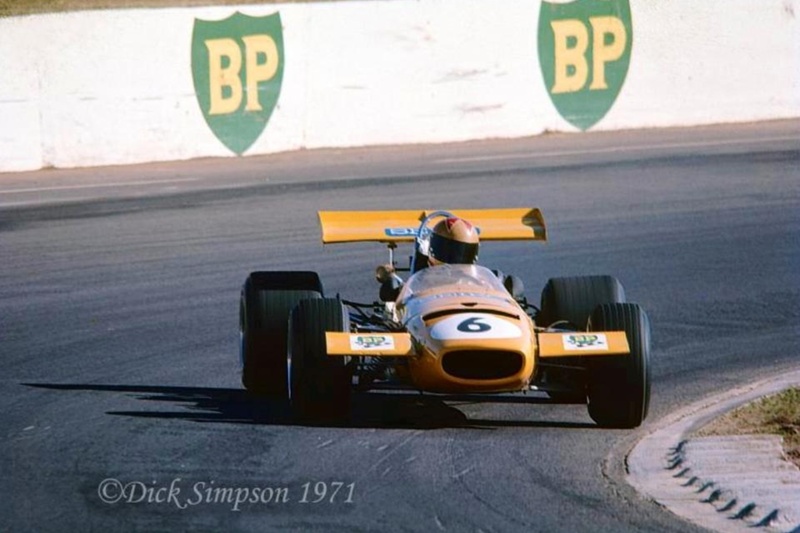 He did well in the US, finishing 8th at Michigan and Watkins Glen in the limited campaign returning to Oz for the ’73 Gold Star series a notably faster driver- and with a Lola T330 he bought from Carl Haas to which he fitted the Repco Holden F5000 engines which had nestled in the back of both the Elfin and Matich. 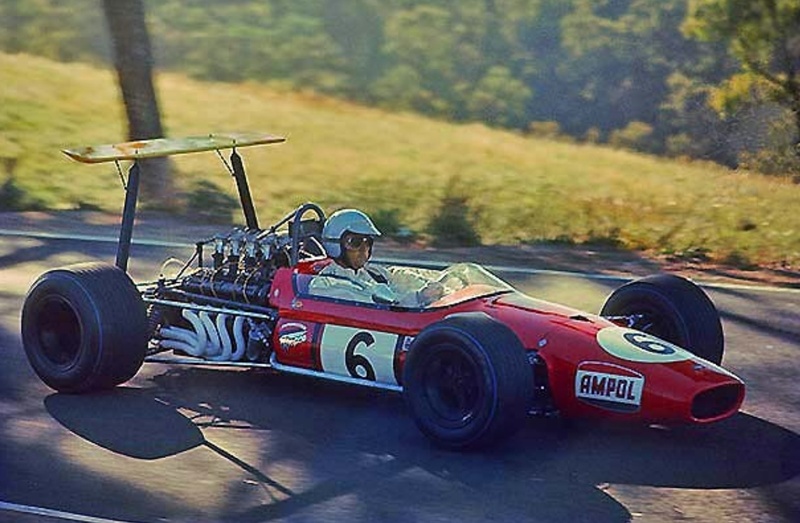 Both cars were designed for the Repco engine, the Lola was not and whilst JW was not at the top of the ‘Repco food-chain’ initially, sponsored driver Frank Matich was- the Lola was always a ‘jet’ with the lighter, torquier, albeit slightly less powerful than the best Chevs, Repco donks. 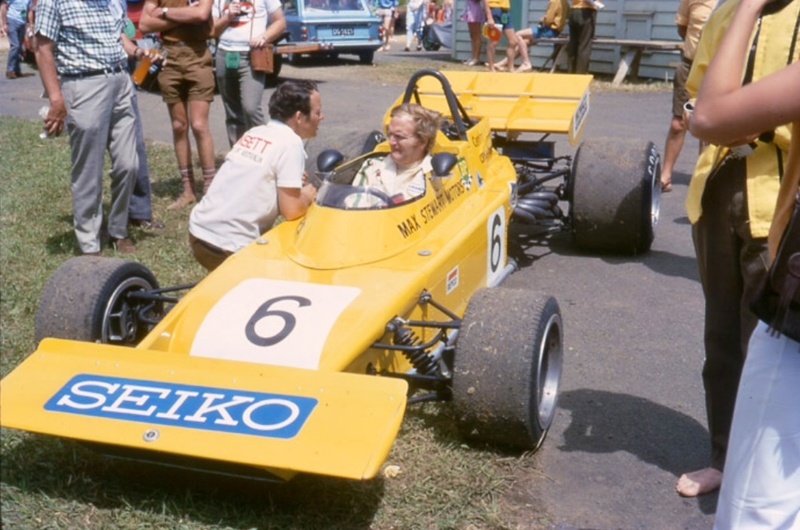 JW contested the ’74 Tasman in the T330 winning at Levin and in the first rounds of the ’74 Gold Star series but pranged the car in the second heat at Surfers Paradise doing sufficient damage to require a new chassis. 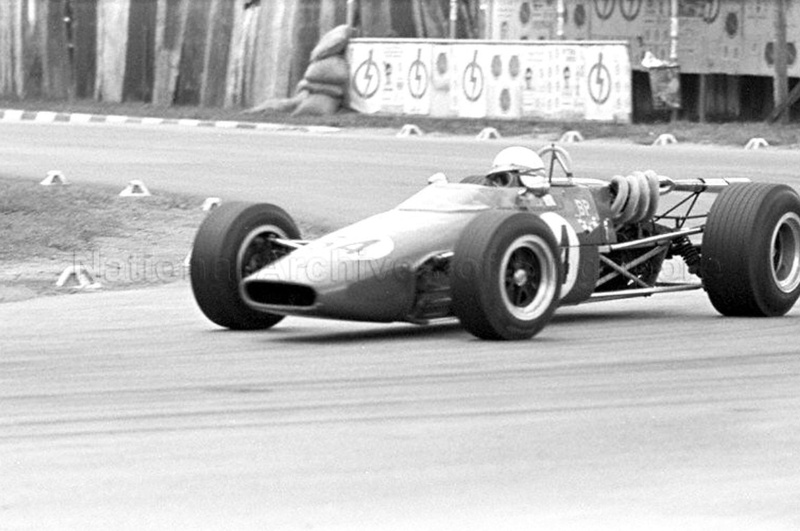 This car had ‘more hits than Elvis’ over the years, as the oldracingcars.com history shows! 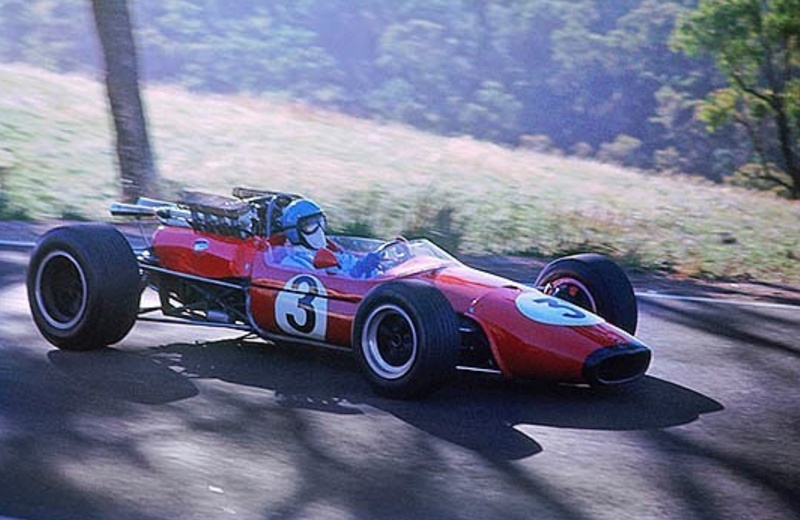 T330 ‘HU23’ was then rebuilt around a T332 tub, whilst Walker didn’t do any of the remaining ’74 Gold Star rounds he had done enough test miles around Adelaide International in his new car to be competitive from the start of the ’75 Tasman. 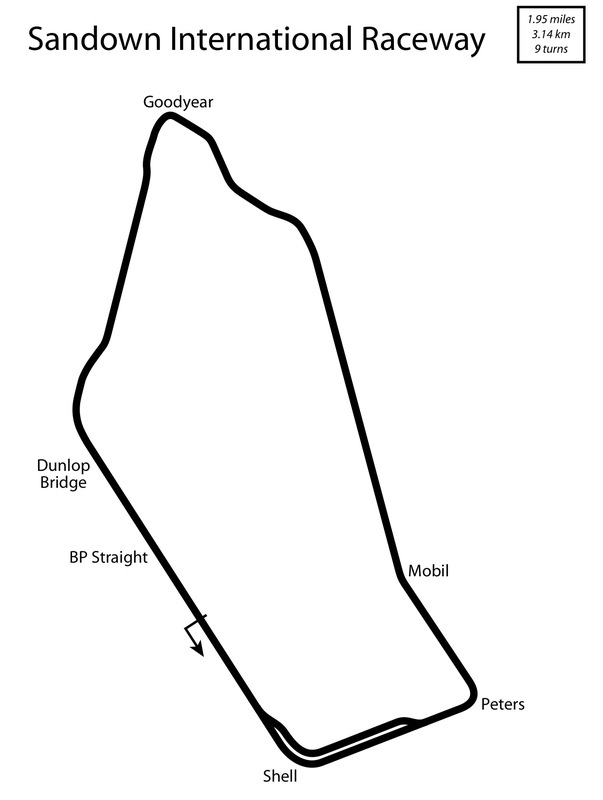 And so the scene was set. 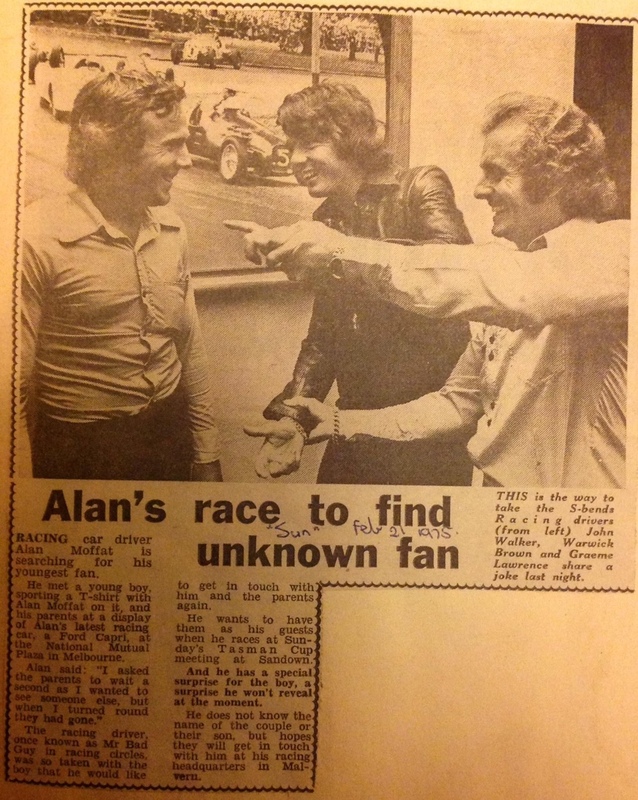 There was much excitement in Melbourne with the mainstream media, usually only interested in Aussie Rules, Cricket and Donkeys (horse racing), providing substantial coverage to the cars and drivers for a wonderful showdown of ‘local drivers’ Graeme Lawrence a Kiwi but much admired and respected by local fans as a driver ‘from over the ditch’. 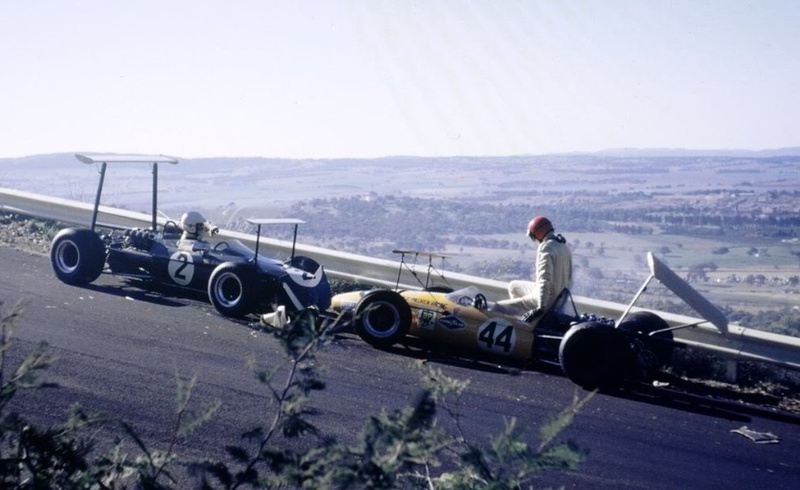 Photographer, Robert Davies described the bellowing field of cars heading up the back straight …’I was pre-focussed on the track at my favorite vantage point at ‘Marlboro Country’ (the top of the back straight on the outside of the corner) ready for my usual shot of the leading cars on the opening lap. 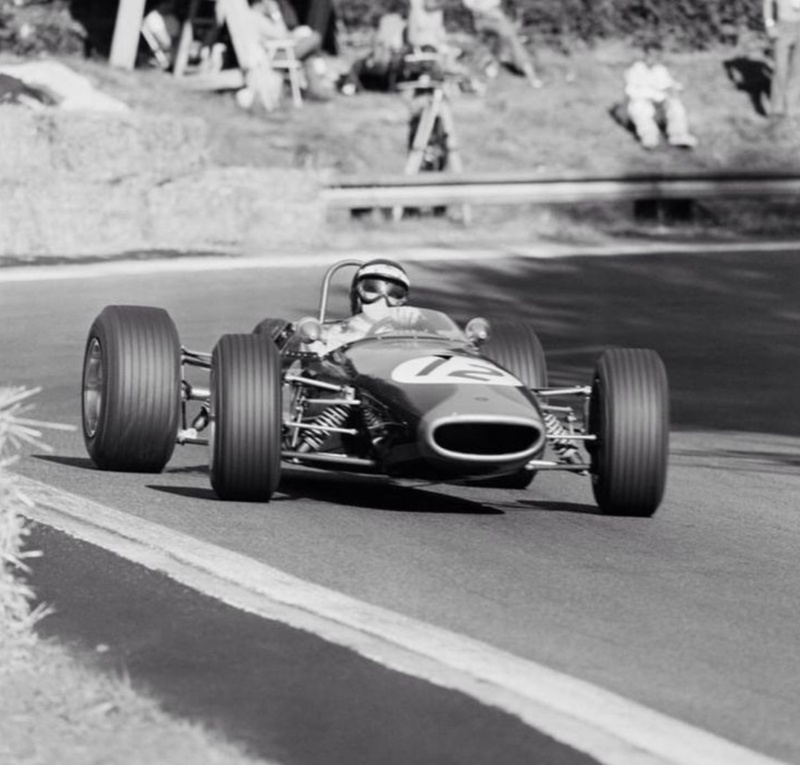 JW lost control of the Lola and slid at very high speed along about 100 metres of the fencing that separates the horse racing track from the motor racing circuit. 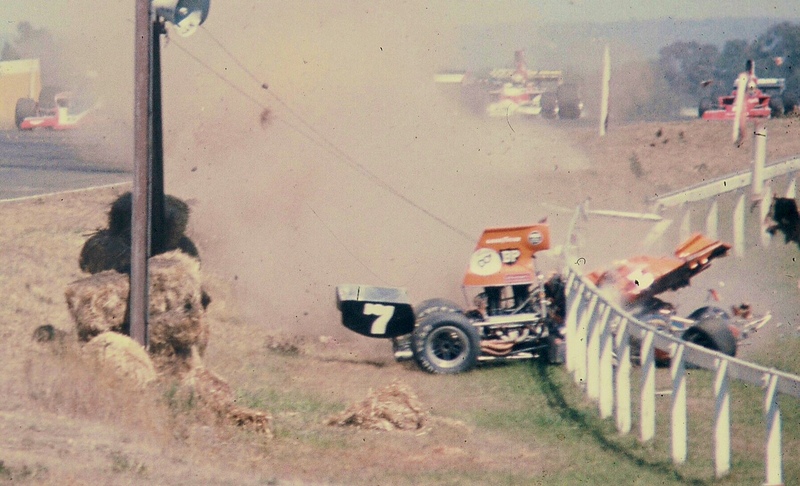 He was very lucky, the fence posts snapped like matchsticks and the water pipe that ran along the top of the fence (to water the horse racing grass, you can actually see the water pipe atop the rail) passed over the top of his helmet’. 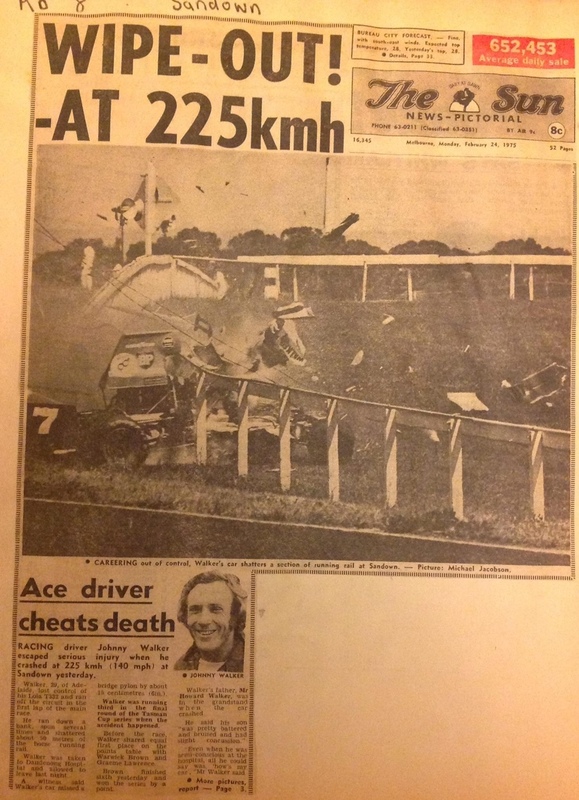 Walker was unconscious and was removed from the car and taken to nearby Dandenong Hospital, discharging himself shortly after arrival.He escaped serious injury from what was a very nasty accident with the best of outcomes, some years later Garrie Cooper went off after a wing-post failure at a similar spot in his Elfin MR8, he broke limbs but again was lucky to survive, Sandown is not without its perils. 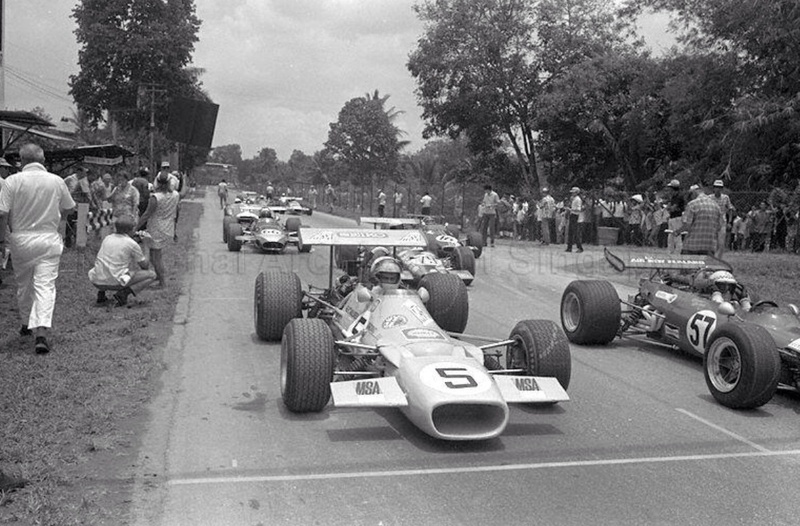 The reason for the accident has never been clear, mechanical failure ruled unlikely by post race inspection of the wreck. 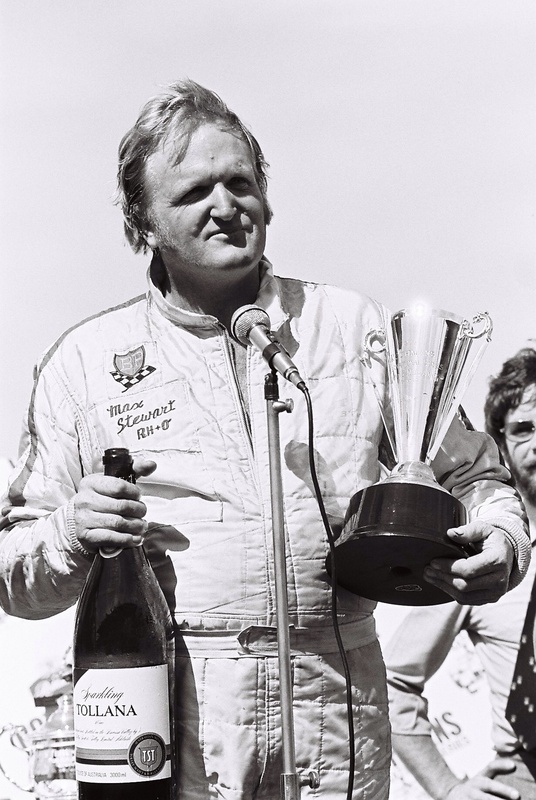 A good deal of interest in the race was removed with JW’s demise but it was tempered with the knowledge that he was ok, and the subject of mass media coverage in the days which followed as a consequence. 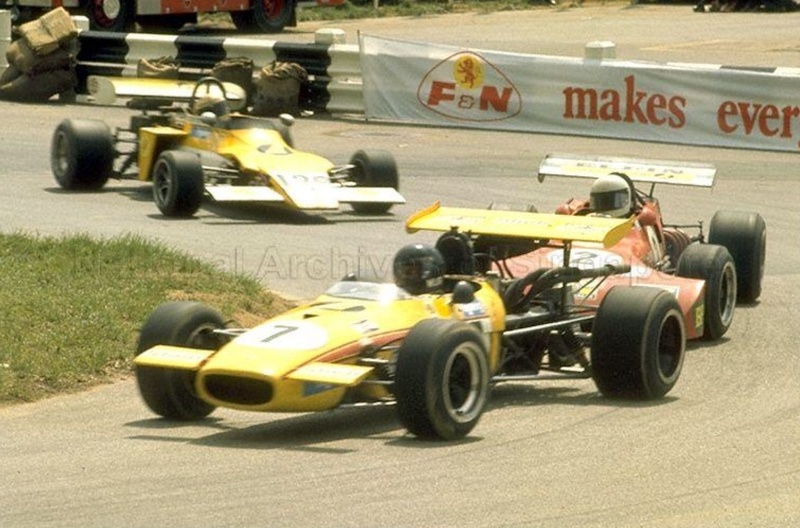 John Goss won the race, his first F5000 victory in the Matich A53 Repco, the last of Franks’ superb cars…It was to be the last Tasman Series, the Kiwis and Aussies ran F5000 Series in 1976 of 4 races each back to back but the New Zealanders then changed their National Formula to Formula Atlantic/Pacific from 1977 Australia soldiering on with F5000. 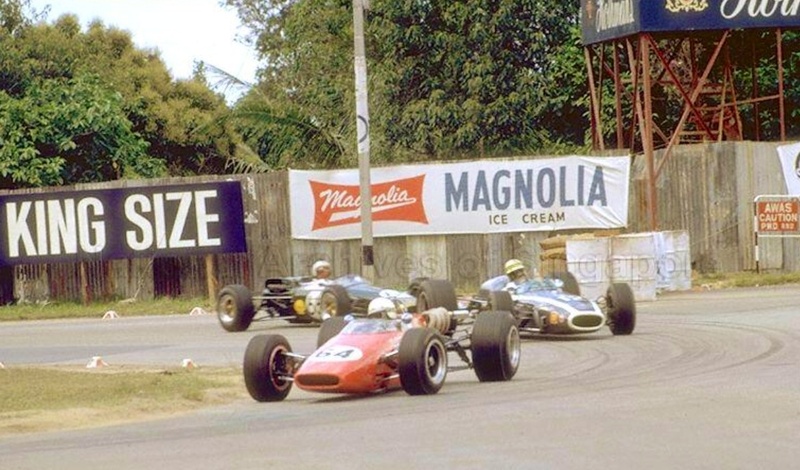 So that was that, a wonderful series of 8 races in the Australasian Summer which started in 1964 and had seen the best in the world compete in the Southern Hemisphere annually was at an end. 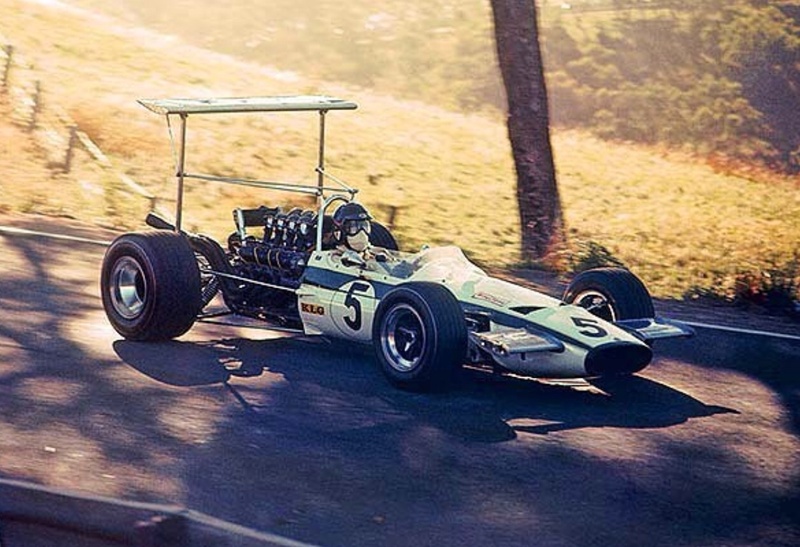 Both countries continued with summer International Series but the magic of the Tasman was forever lost…the Australian Grand Prix is superb but it isn’t 8 wonderful races in 2 months! 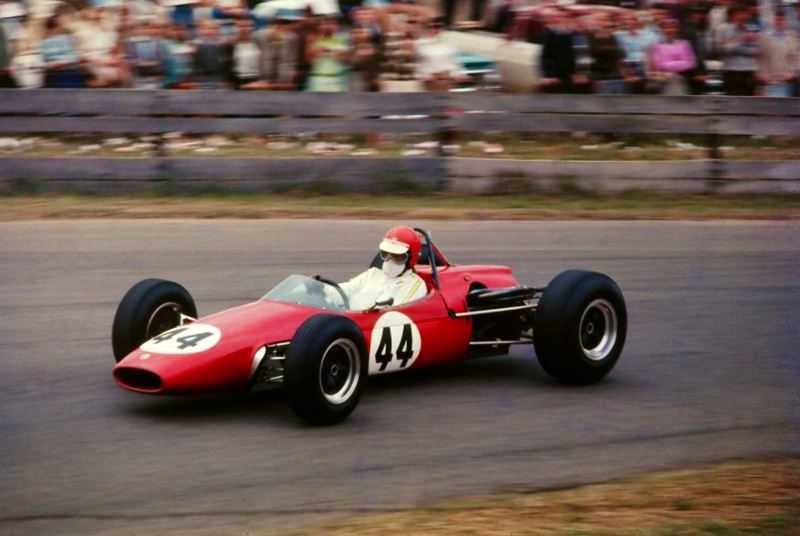 Those with an interest in what makes these cars tick may find this series of articles on Peter Brennans’ restoration of the ex-Lella lombadi T330 ‘HU18’ of interest.